Watch the Prize Grow on RTL web meter! 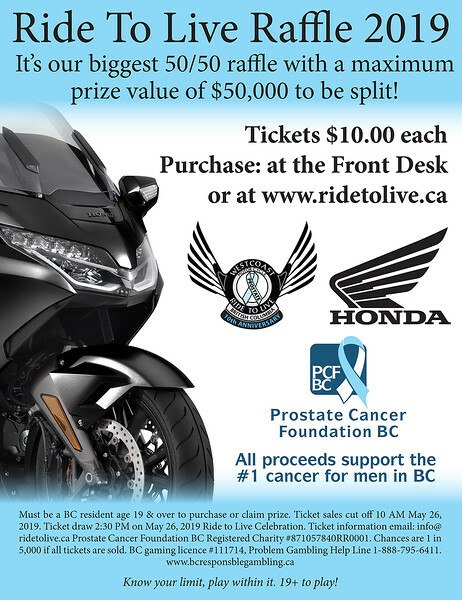 Proceeds of this raffle go to Prostate Cancer Education & Support in British Columbia Canada by way of supplying Physicians & Specialists with Reef Knot Kits which they can provide to newly diagnosed men with Prostate Cancer. This kit provides various information on Prostate Cancer information and support, to assist with the direction of his next step options. Visit charity foundation Prostate Cancer Foundation BC for further information on Reef Knot Kits.